With its wide-eyed headlights, the Porsche 911 Turbo S seems to stare you down even from across the lot. Its standout features and sleek frame make it look insanely – impossibly – fast on the road. There are no real shortcomings in the Porsche 911 Turbo S to point to. It’s a driver’s ultimate car, with performance and handling to make every other luxury automaker envious. The 580 horsepower engine gets you from 0 to 60 mph in just 2.8 seconds. It feels like a rocket taking off underneath you, carrying you forward into the stratosphere. Its 205 mph top speed was made for the track, or maybe the salt flats. The PDK dual-clutch seven-speed has no perceptible dead spots as it upshifts into top gear – as evidenced by its blazing 0 to 60 mph speed. Porsche’s Sport Chrono package gives you the power to shift between four settings – comfort, sport, sport plus, and individual. It’s the individual that’s such a wonderful innovation: you can customize each feature to select from the other three settings, arriving at a unique combination that fits you. Craving a boost of speed? Who isn’t! The Sport Response button is, well, something you’ll have to get a little used to. Press it, and the car will jet ahead. A perfect tool for passing like a boss on the highway. 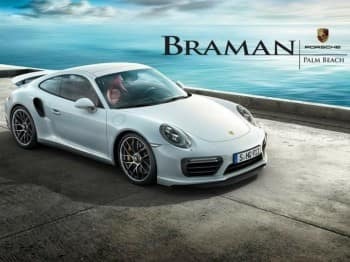 What makes the Porsche 911 Turbo S so special is the unique blend of ultimate power and response with a customizable, driver-oriented experience. It’s a rare balance between two powerful elements that aren’t often found together in a car. There’s no better car to take up winding roads, whether it’s a sunny joyride or storming along with the weather as it frenzies around you. The Porsche 911 Turbo S is built to handle it all with speed and grace. 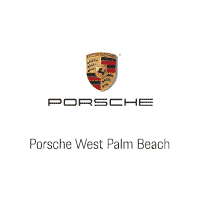 Seek out a Porsche dealer in South Florida to introduce you to this performance beast. One test ride, and you’ll never want to drive anything else.